LETS stands for Local Exchange Trading Scheme. It is a way a community can trade skills, services or goods without needing or using real money. It’s a bit like a barter system, but you don’t have to do a direct swap – instead you use a local community currency. Bristol LETS is an online, Bristol-wide LETS scheme. 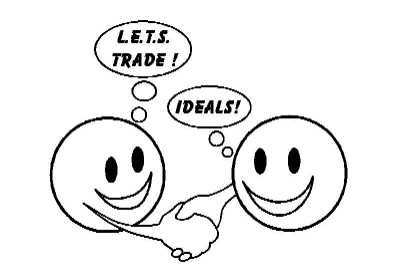 We trade using a currency called “Ideals“. Why have a Local, Sustainable Currency?